The Fields East West Commons is located in Austell, GA near shopping, dining and more. 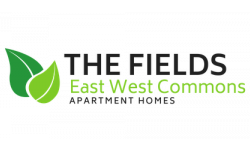 The Fields East West Commons offers 2 to 3 bedroom apartments ranging in size from 1002 to 1304 sq.ft. We are a newly renovated community with lush landscaping and the conveniences you're used to. Our amenities include a designer clubhouse, fitness center, playground and laundry care center. We are a pet friendly community welcoming both cats and dogs.